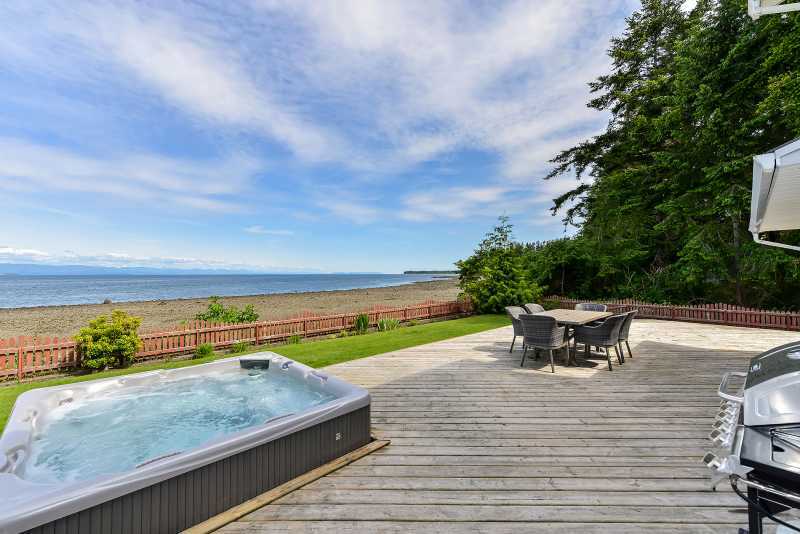 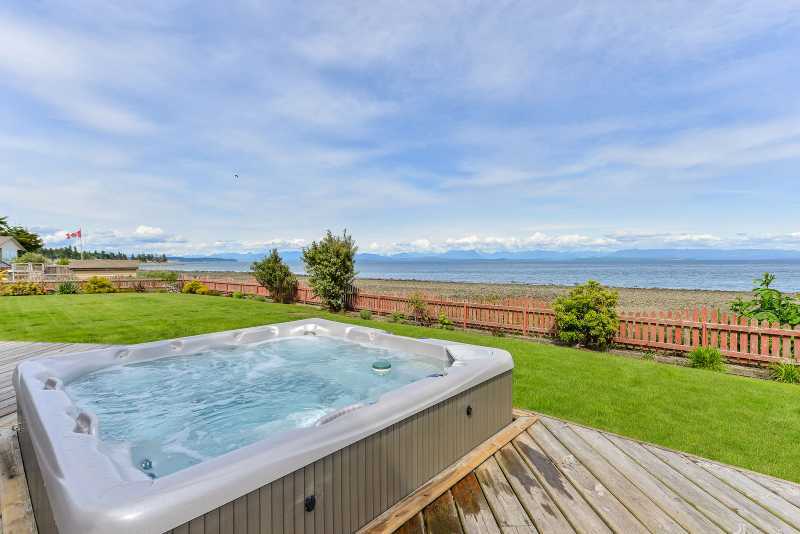 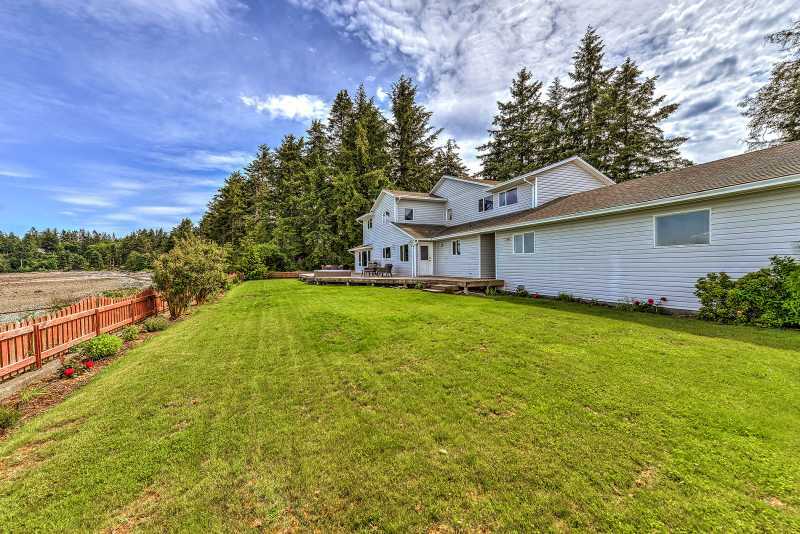 Come and relax and experience Vancouver Island ocean front living at its finest in this amazing four bedroom three and a half bathroom west coast home just steps from Stories Beach. 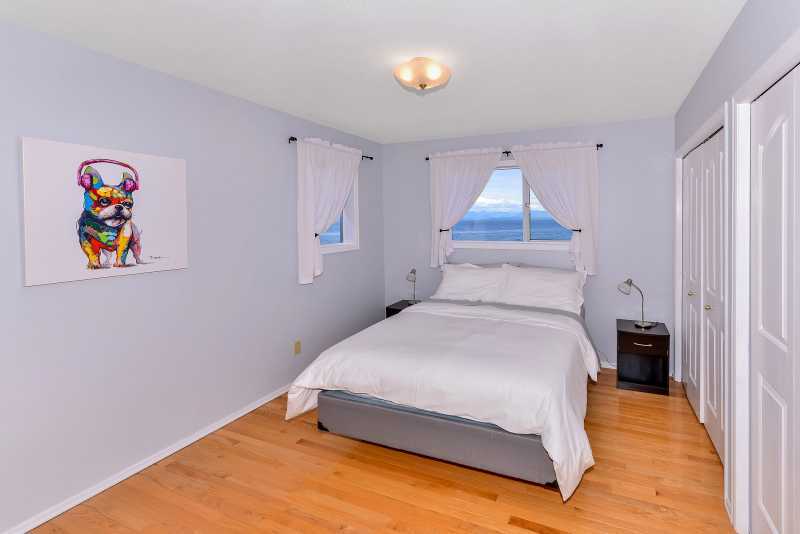 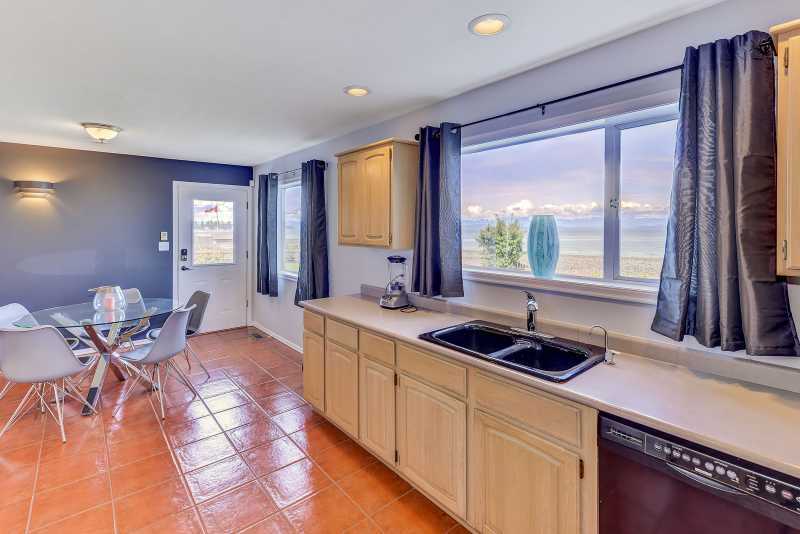 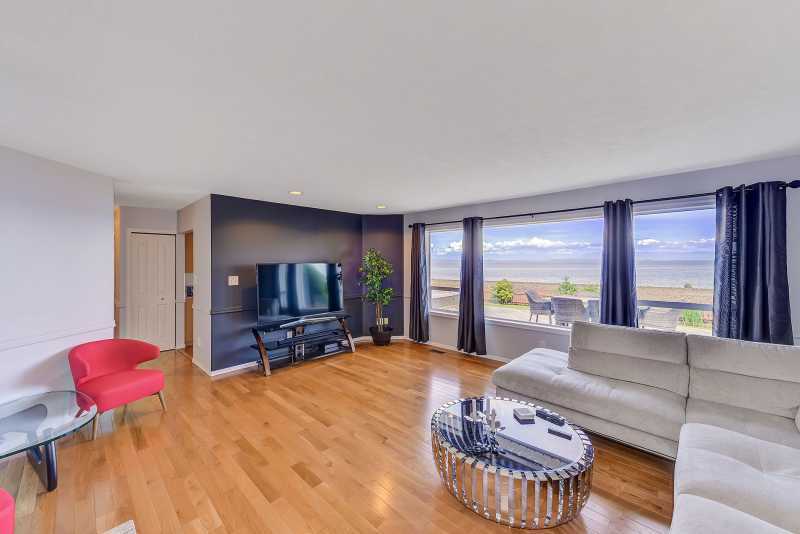 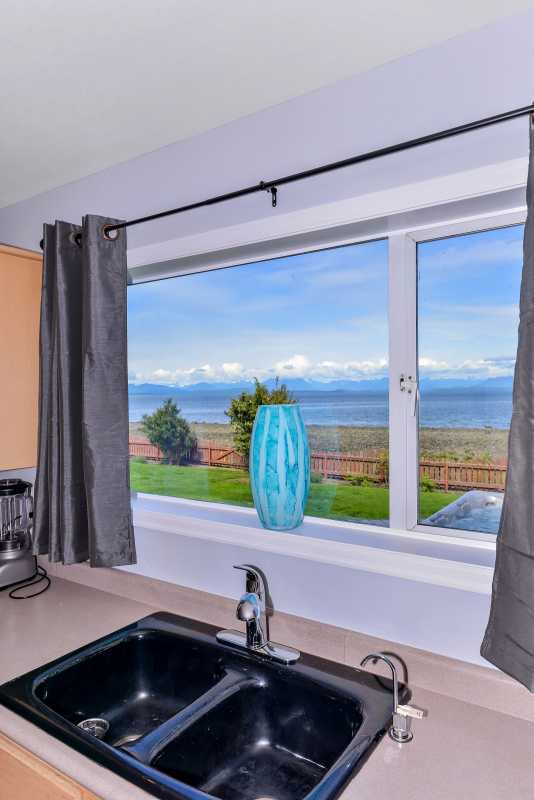 You will be amazed by the breathtaking sunrises, the Salish Sea, and the Coastal Mountains as your backdrop while staying at the Coast View Beach House. 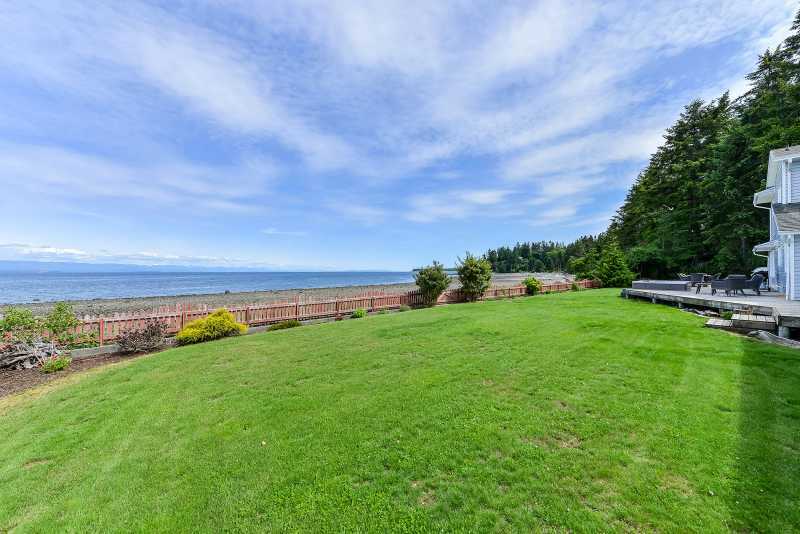 Coast View Beach House is a wonderfully built two level home with spectacular views of the ocean and beach front almost from every room in the house. 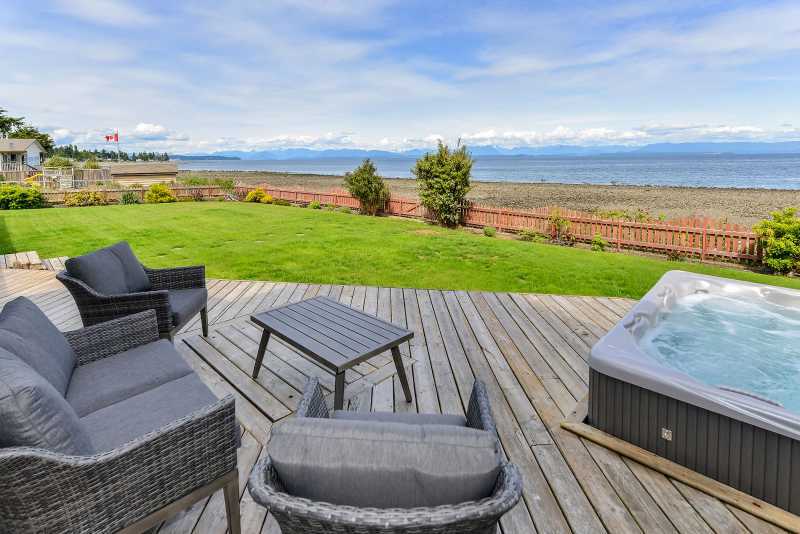 The outdoor living space is really something, featuring massive decks and comfortable patio furniture along with a hot tub to enjoy this coastal paradise. 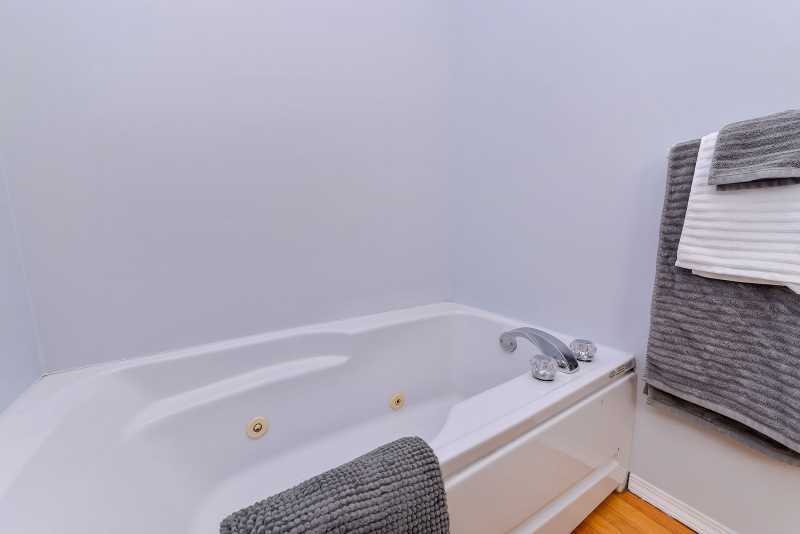 It is like staying at the spa! 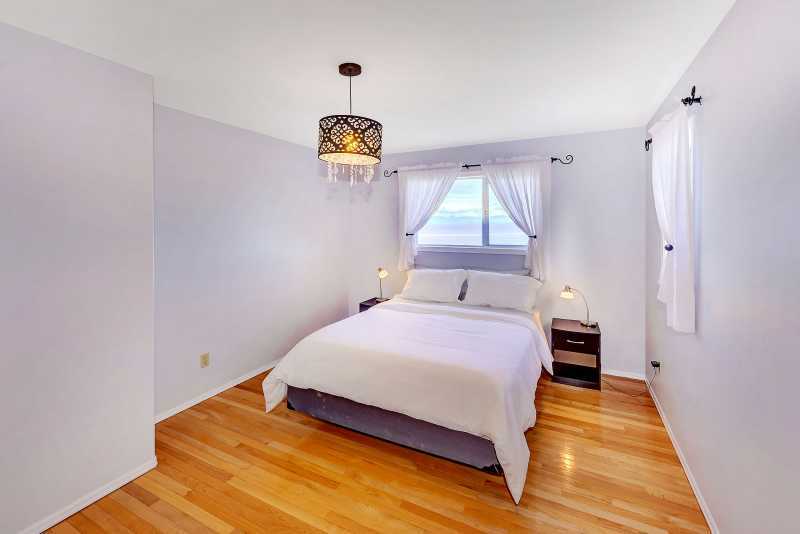 The home is ideal for up to eight guests with it's two master bedrooms with ensuites. 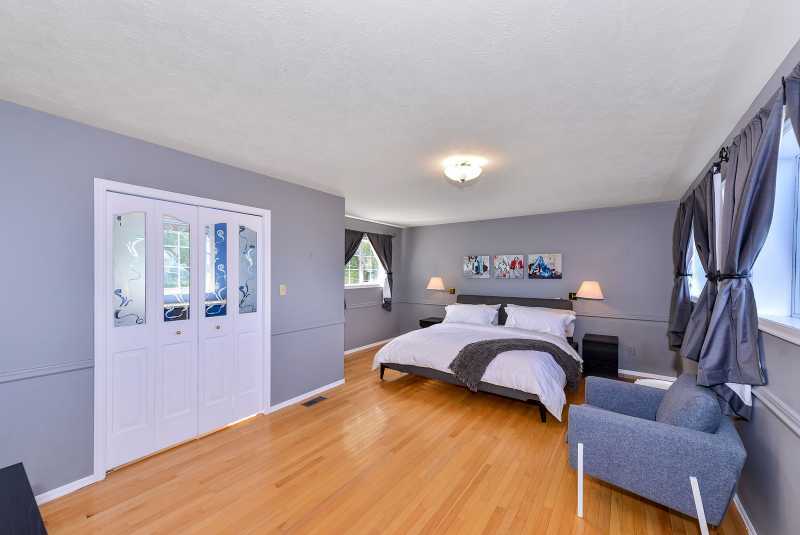 There is a main floor master bedroom that features a king bed and ensuite. 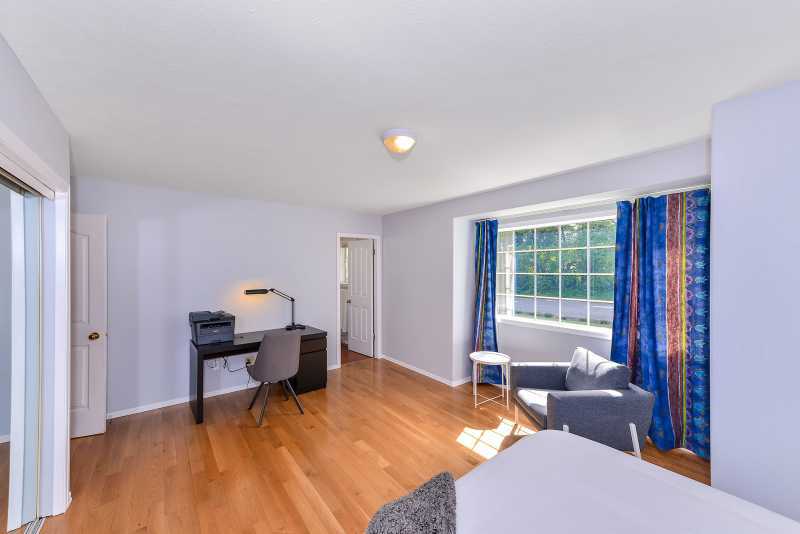 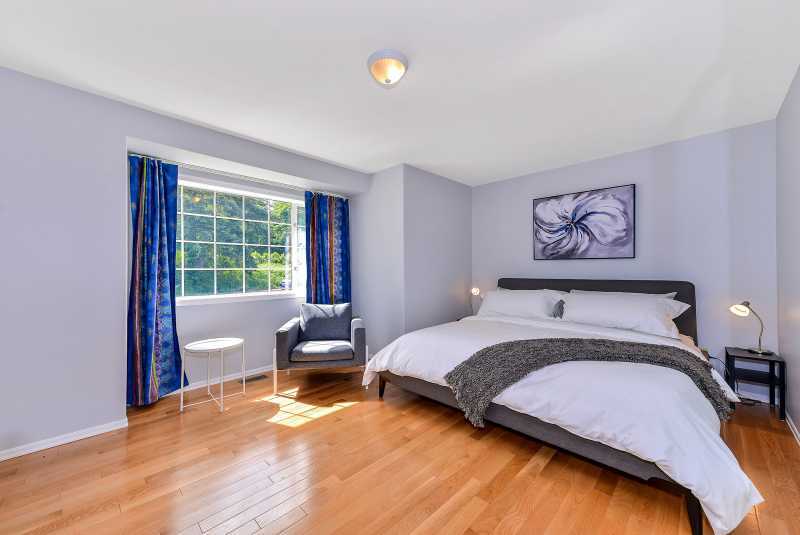 The second floor also feature a second master bedroom with a king bed and ensuite as well as 2 extra bright and spacious rooms with queen beds and another full bathroom. 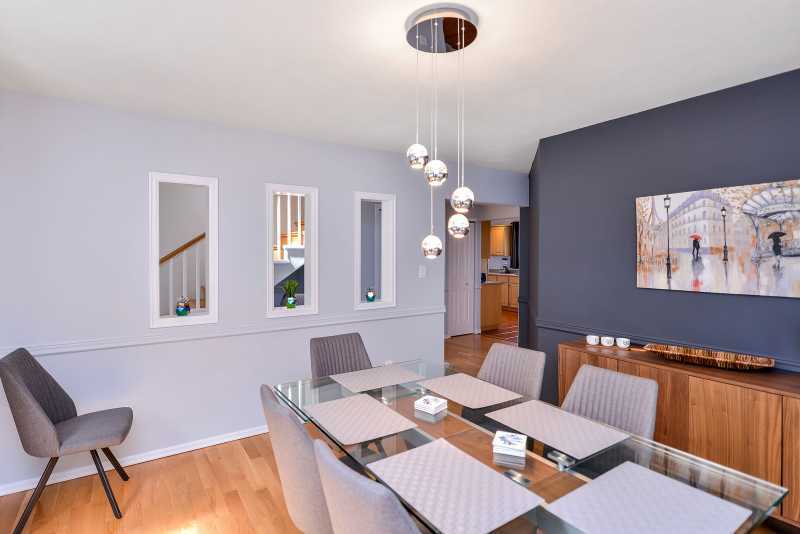 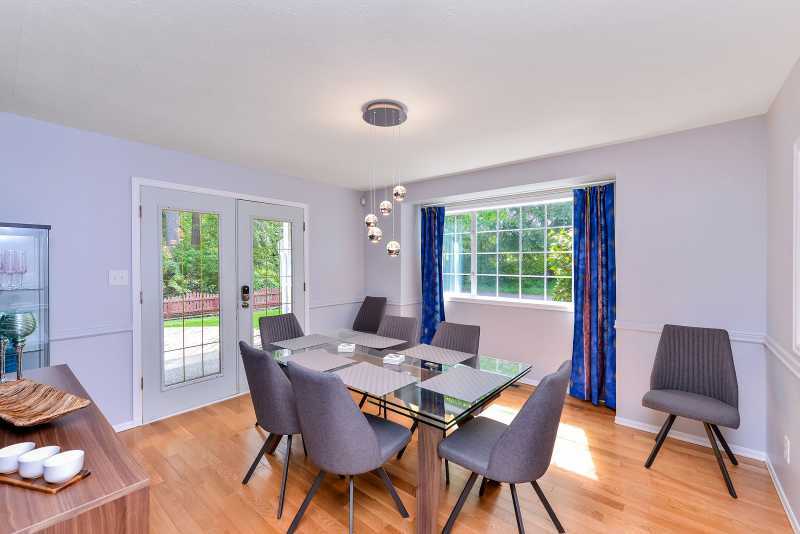 The main level has a formal dining room that will comfortably seats eight guests. 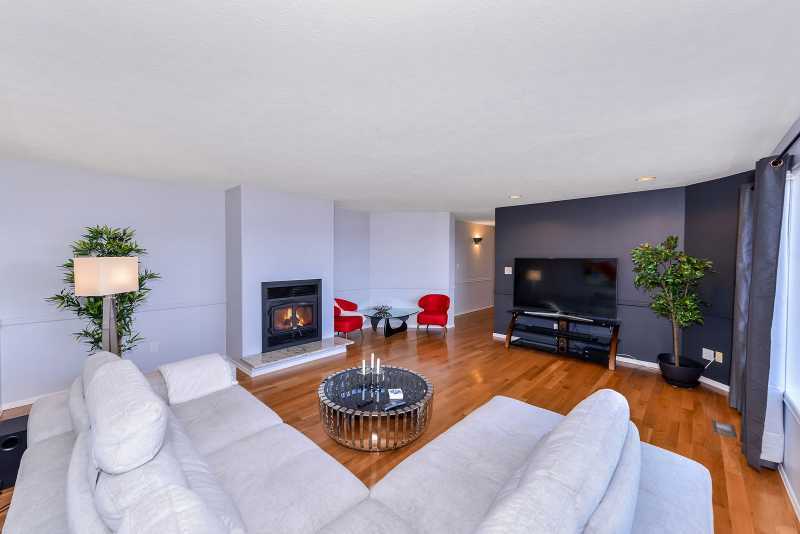 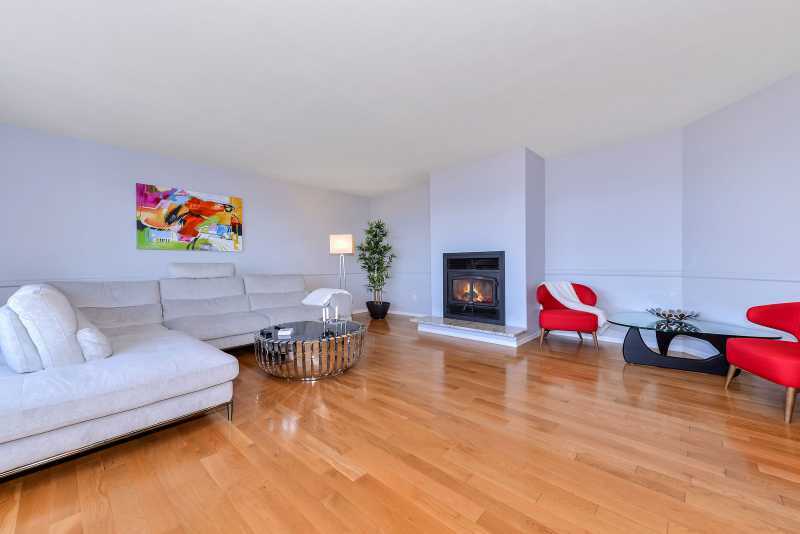 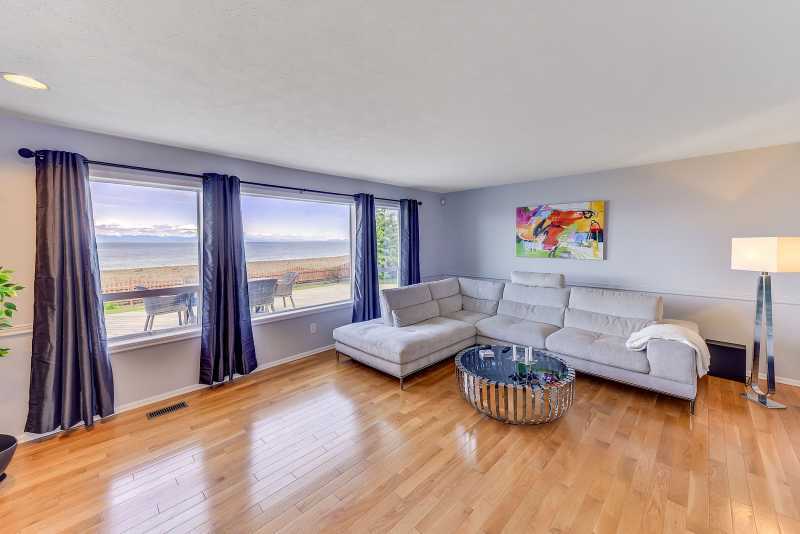 There is a large living room with sweeping views of the beach and ocean and large screen Smart TV where you watch your favourite movies on your own streaming services accounts. 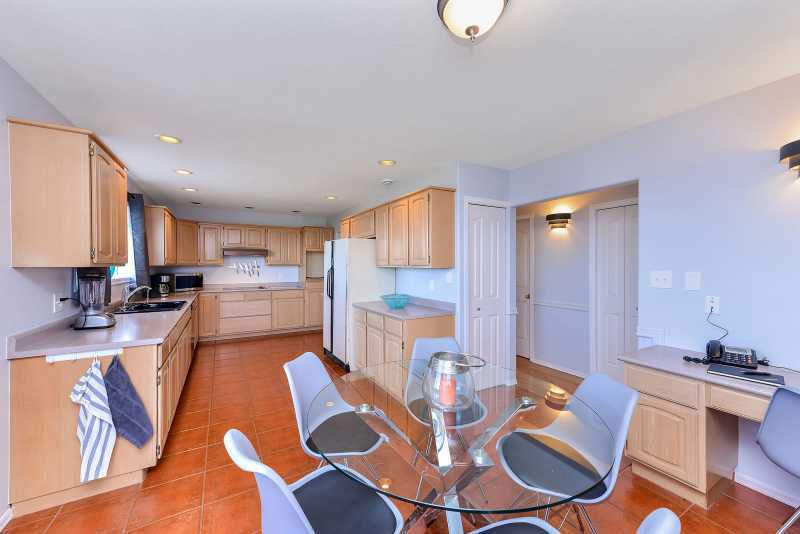 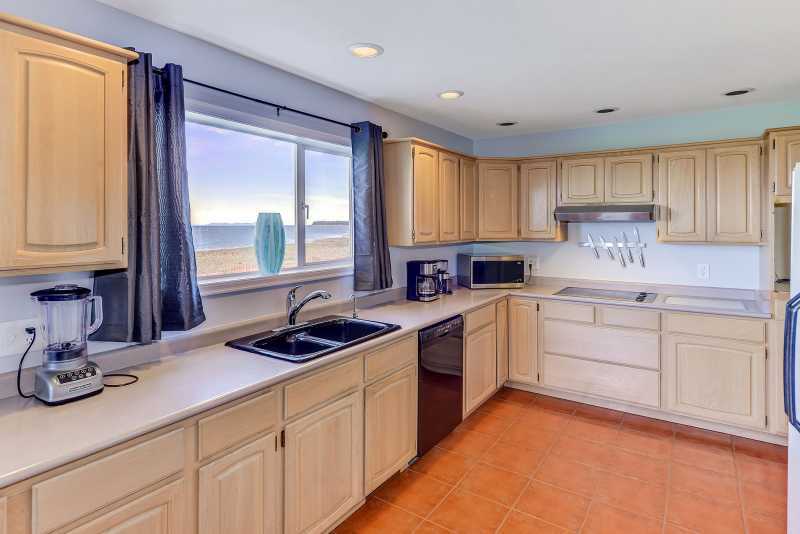 For the chef in your group, the kitchen is fully equipped and includes a breakfast table for morning or lunch. 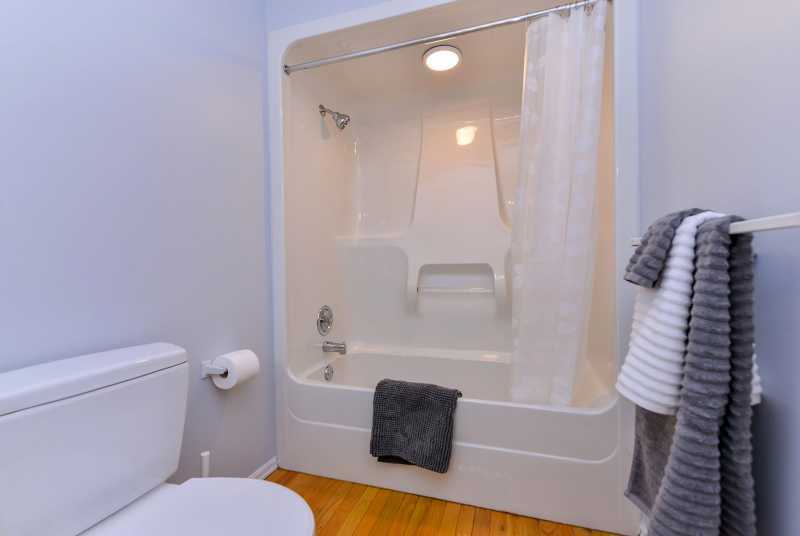 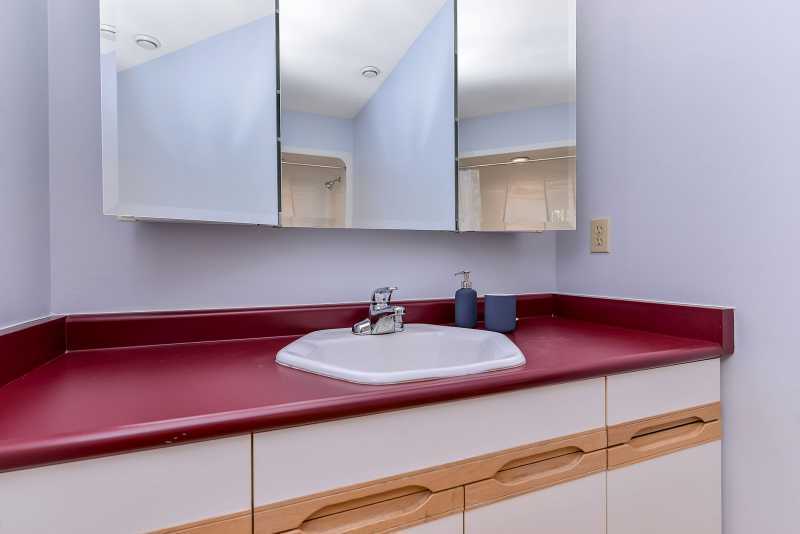 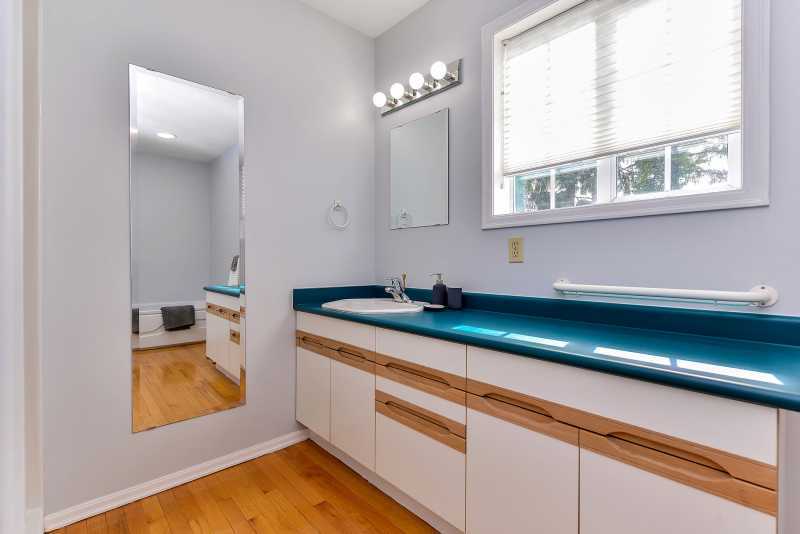 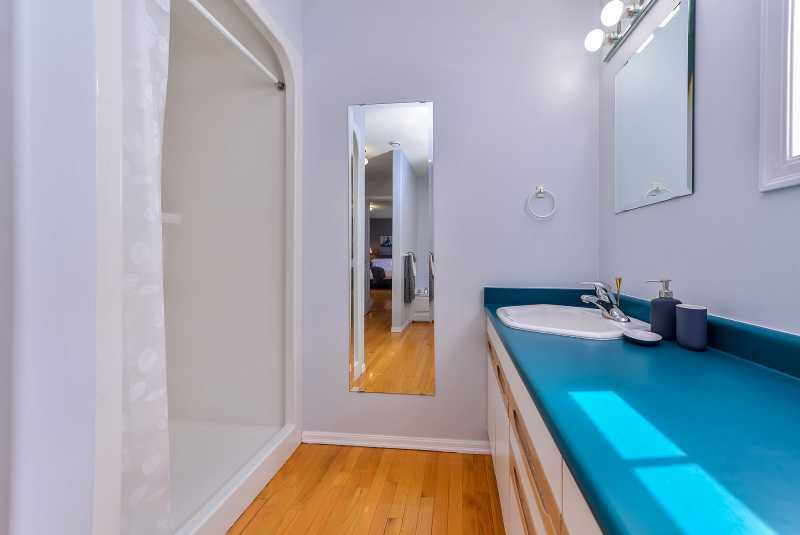 The house includes in house laundry and has a powder room on the main floor. 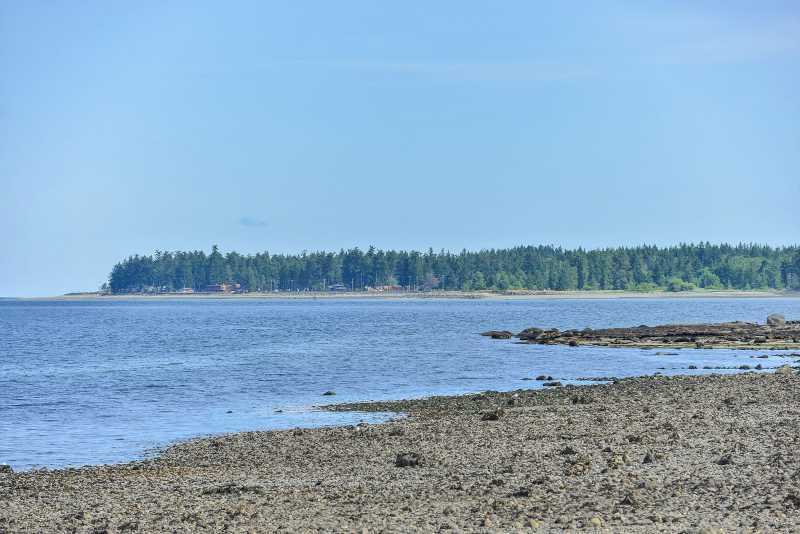 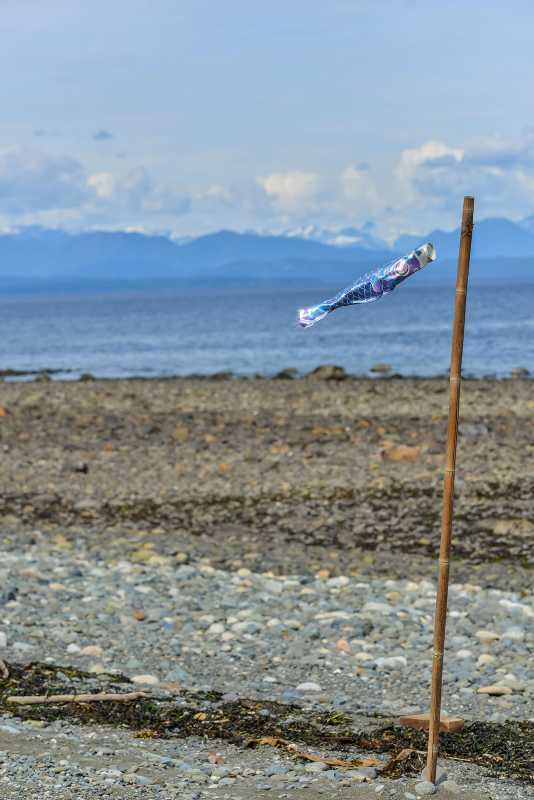 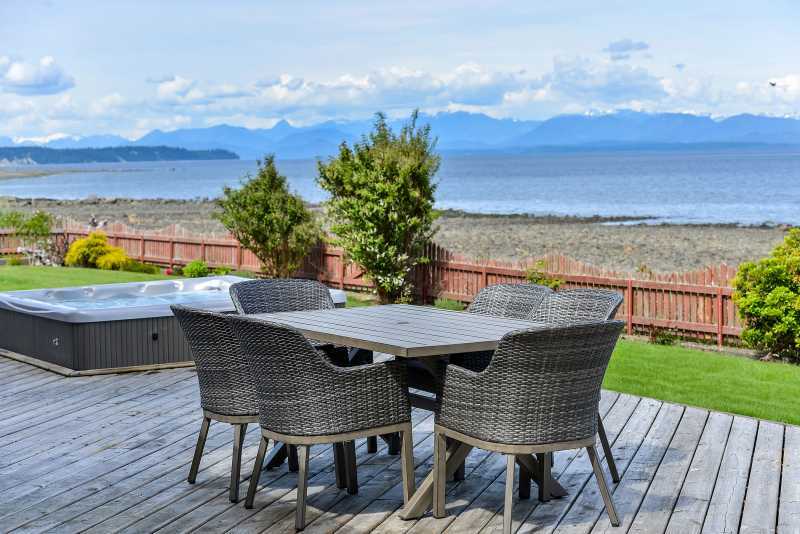 Step out on to the beach from the Coast View Beach House and explore the wildlife that call this Eastern Vancouver Island shoreline home. 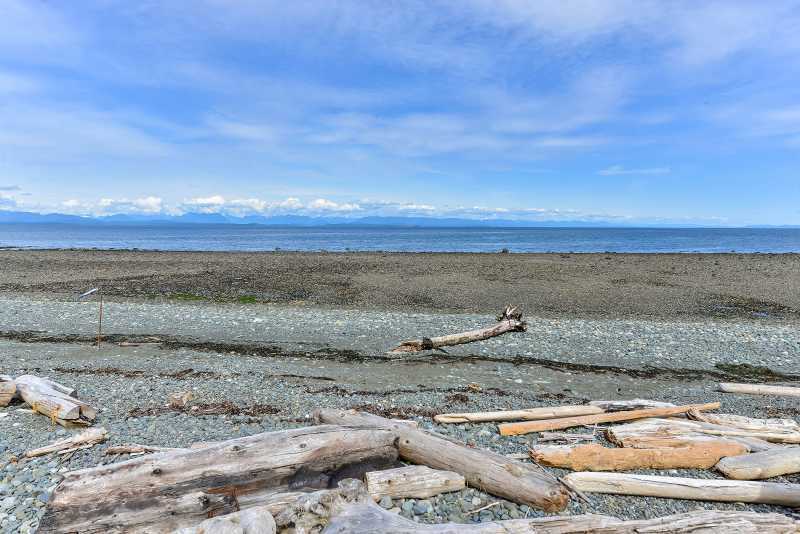 Pack your beach towels, just steps from the house is Stories Beach, one of the best sandy beaches in the Campbell River area. 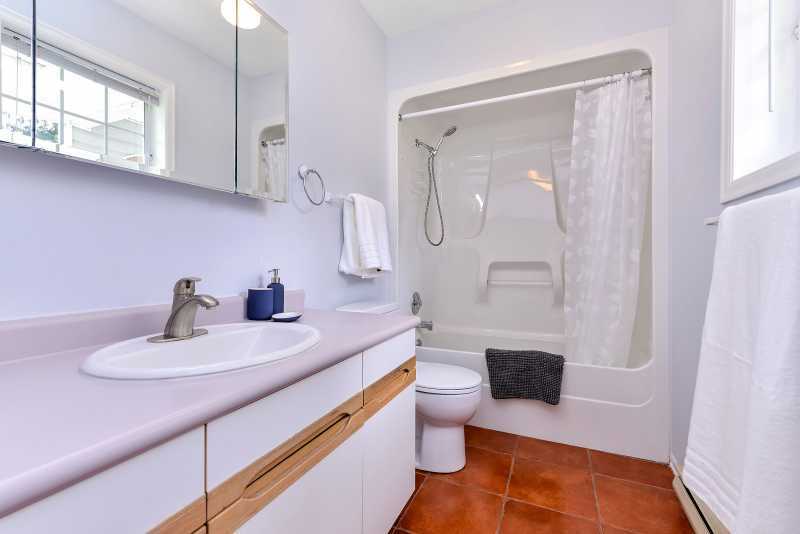 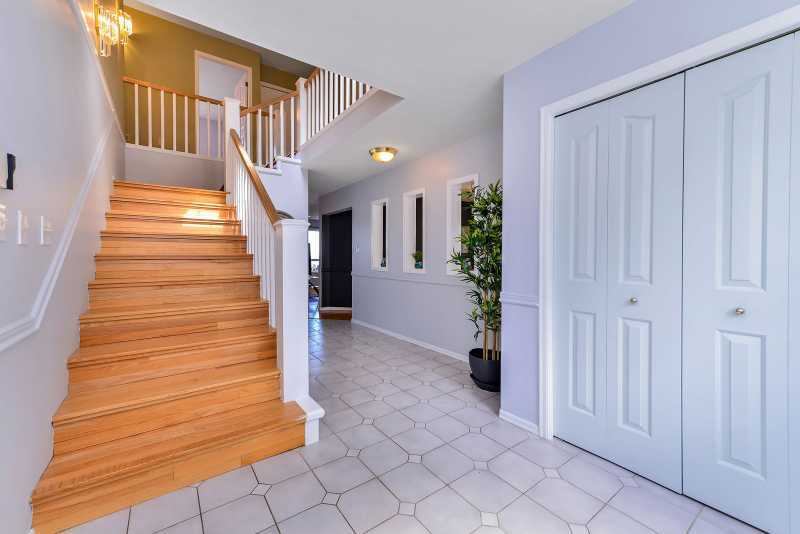 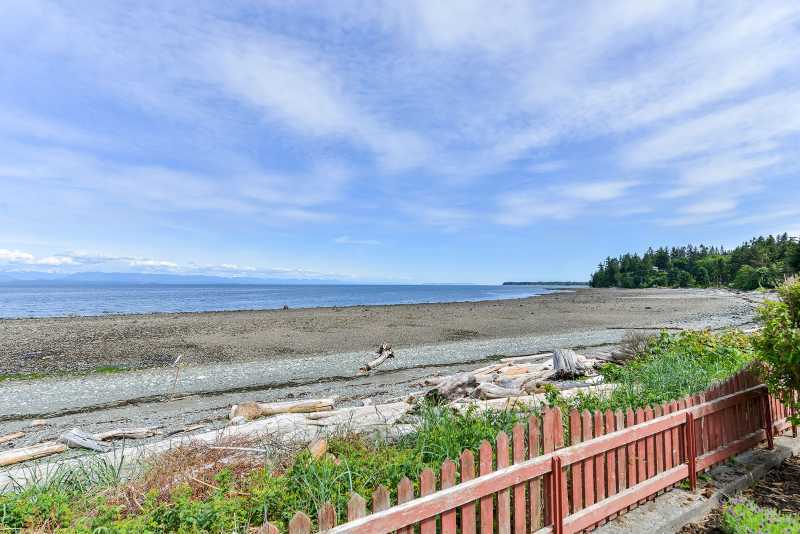 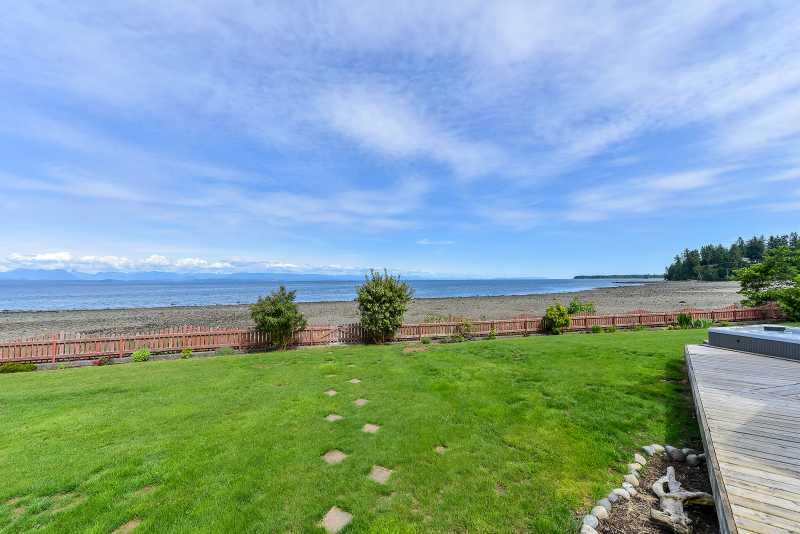 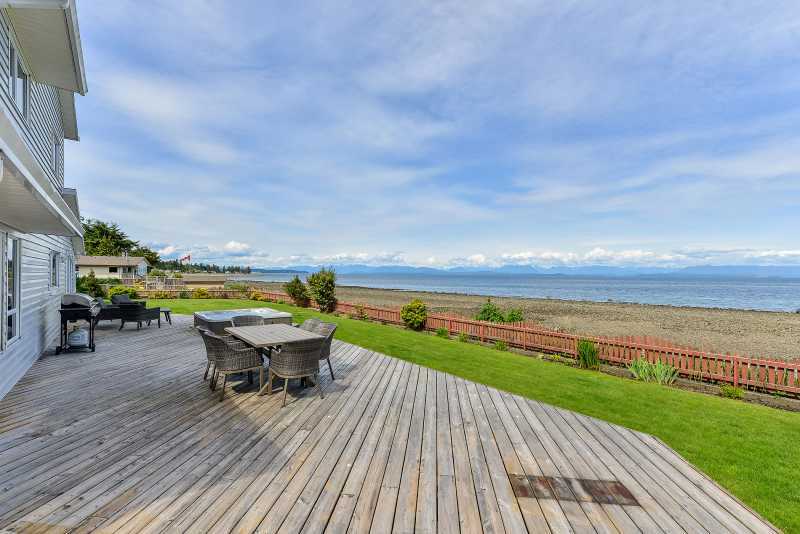 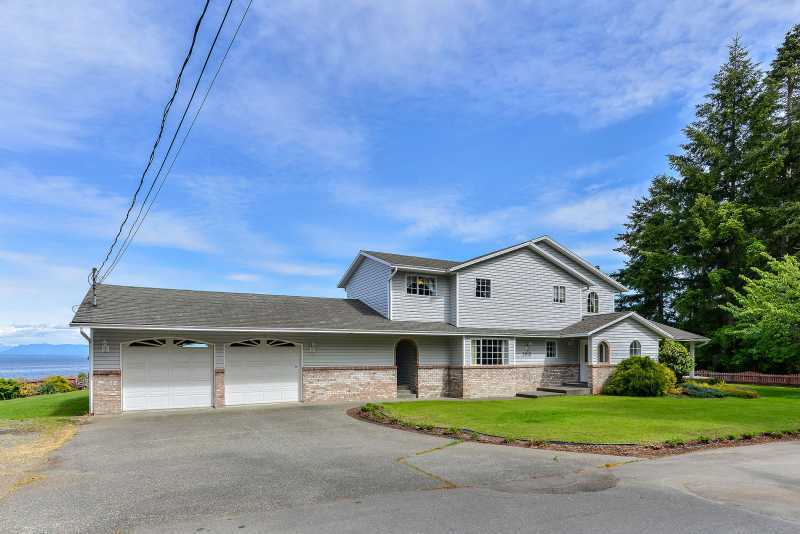 Coast View Beach House is close to many amenities with Campbell River only ten minutes drive to the North and to the South Courtenay and Comox about 25 minutes drive away. 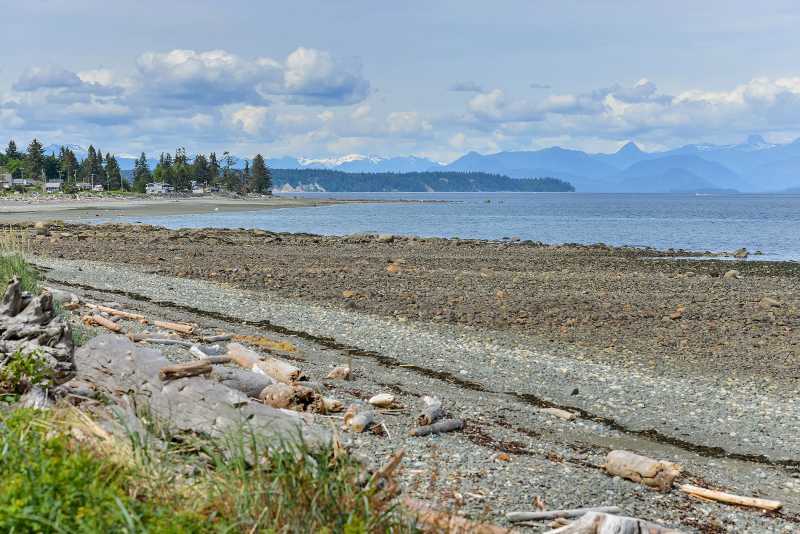 All communities have terrific attractions, marine and wildlife tours, parks, restaurants, grocery stores, shopping, world class salmon fishing, golf courses, ski hills, wonderful festivals, and other events throughout the year. 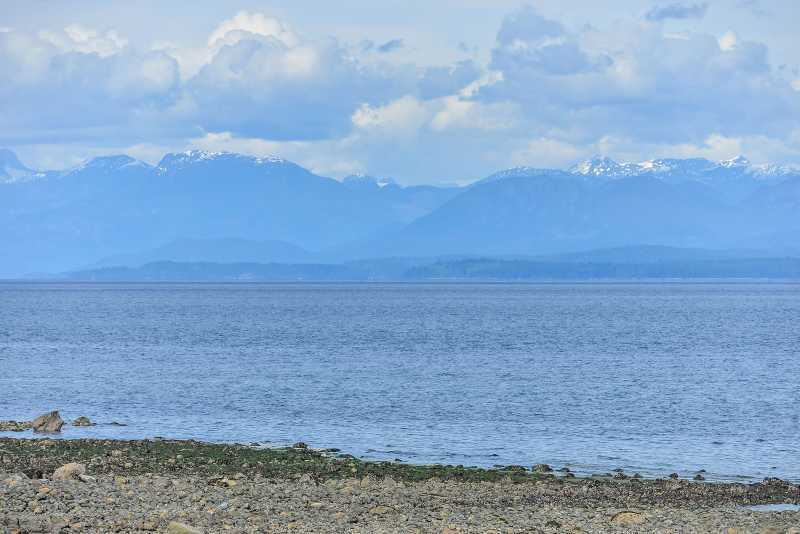 You can at some times of the year ski in the morning and golf in the afternoon. 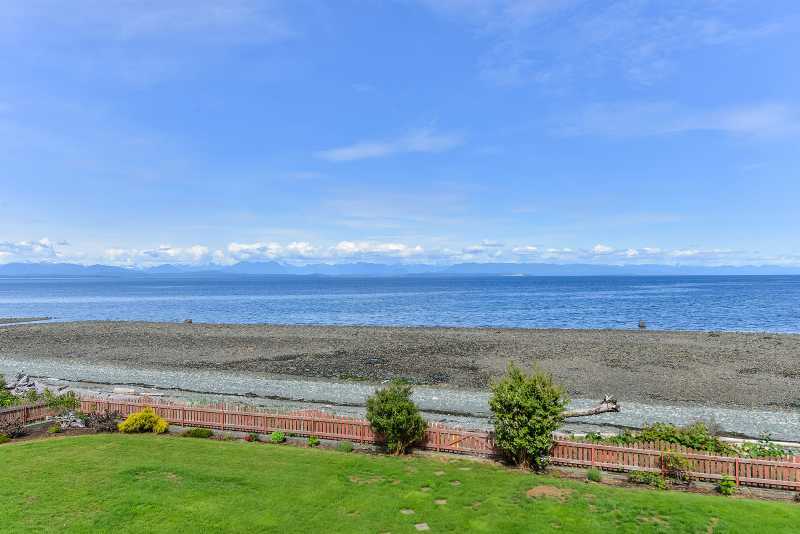 Getting to the Coast View Beach House is easy as the Comox Valley has an international airport with rental cars available, or take the ferries from Vancouver BC to Nanaimo and drive North only just over an hour away, airports in Victoria and Nanaimo are also international and full service. 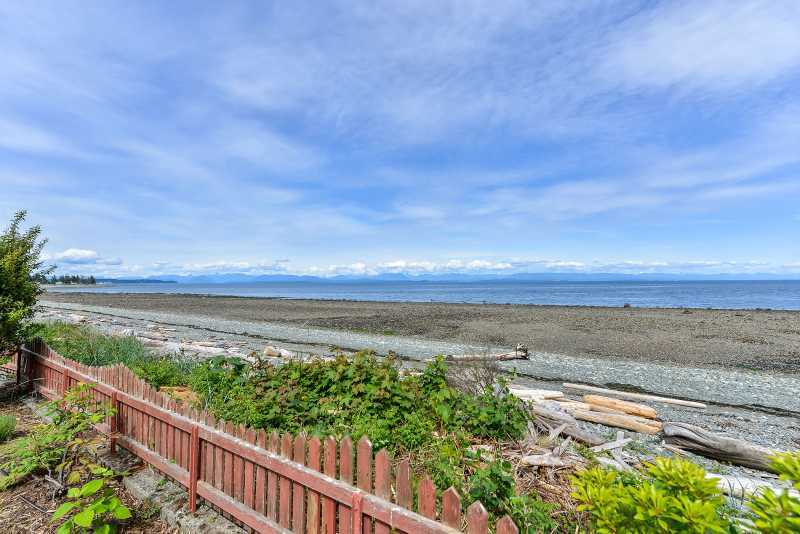 There is many different paths to take to experience the Coast View Beach House. 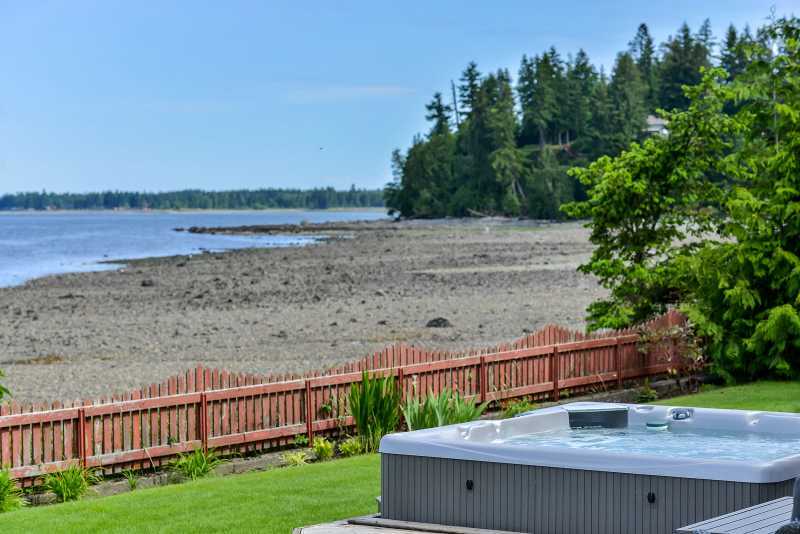 Come and make the Coast View Beach House your next serenity escape on Canada's natural and wild Vancouver Island.